Denton and Reddish MP, Andrew Gwynne, has joined the fight against plastic waste by supporting the Plastics Bill which aims to reduce plastic waste change the approach towards fighting plastic waste, placing the burden onto the producers themselves. Andrew Gwynne has helped launched a local campaign to encourage schools and councils to get tough on plastic in support for a proposed law to reduce plastic waste. 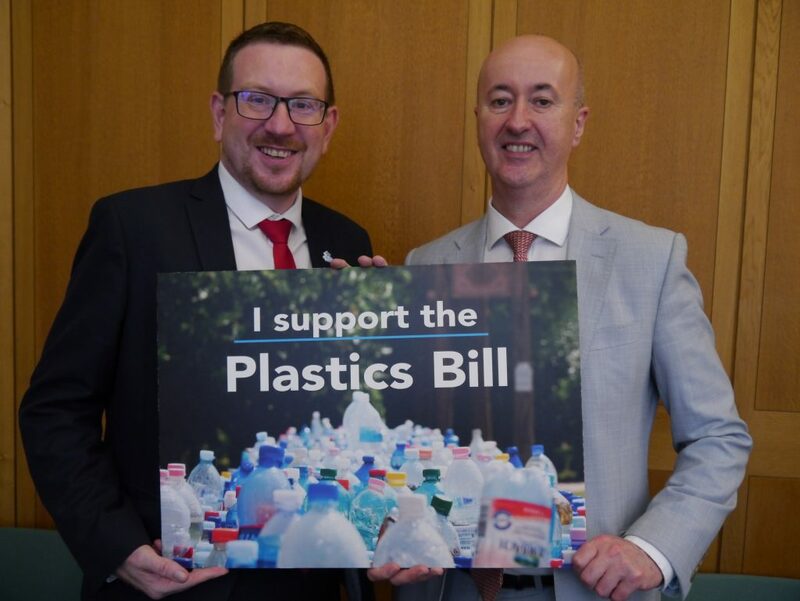 Andrew Gwynne was among dozens of MPs to support the new Plastics Bill presented by Geraint Davies MP which will ensure all plastic is recyclable by 2025 and would make producers pay for the cost of recycling. 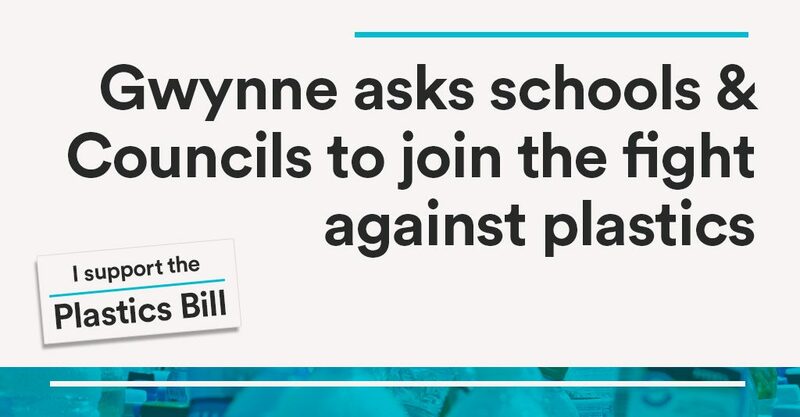 Gwynne has asked schools and the local Council to join the fight against plastic and for producers, not council tax payers, to pay for recycling. The world’s annual consumption of plastic materials has increased from around 5 million tonnes in the 1950s to nearly 100 million tonnes today. Today in the UK 13 billion plastic carrier bags are used each year with shoppers worldwide using approximately 500 billion single-use plastic bags per year. One estimate is that plastic pollution alone could be costing developing and industrialised nations up to $1.27 Billion annually as it threatens fishing, shipping and tourism. “It’s a crucial time to get serious about cutting out plastic in our communities and reduce its production and use. By making the Plastics Bill into law we will ensure that plastic producers instead of local council tax payers pay for the cost of recycling plastic. The UK needs to take a world leading position having awoken the world to the plastics crisis with David Attenborough’s Blue Planet. “More than 200 schools across the UK have already signed up to the Plastic Free Schools programme run by Surfers Against Sewage so it’s great that Andrew Gwynne is leading the charge in Denton and Reddish. MPs from all parties across the UK support the Plastics Bill. We now know from the UN that as things stand there will be more plastic than fish in our oceans by 2050. I also know, living in Swansea, how important it is to protect our beautiful coastlines.